The work permit extension process is looking a serious Issue currently considering the Insurance from the previous employer as well when we are paying all the taxes to the government equal to a swedish citizen . We should make sure none of us are deported because of flaws from employer and we should again conduct a rally , infact a very big one this time in make sure we get noticed and there is a change in the law . 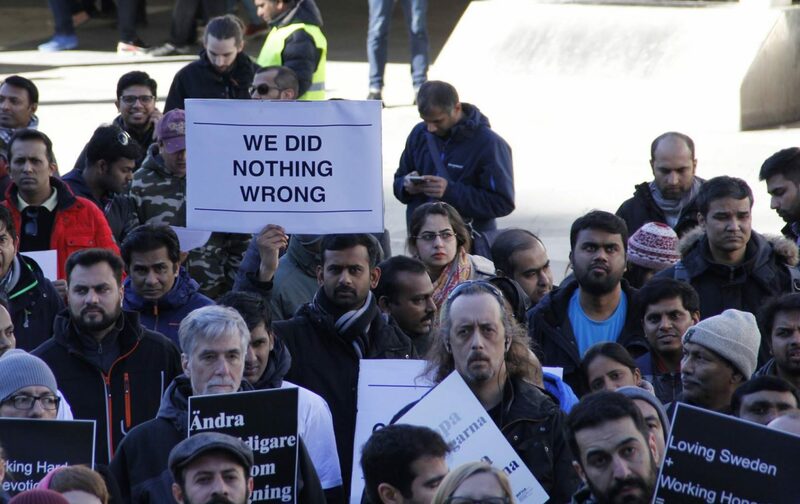 Lets do a rally as early as possible and conduct every month one day without fail and get noticed and show our importance to the country of Sweden.